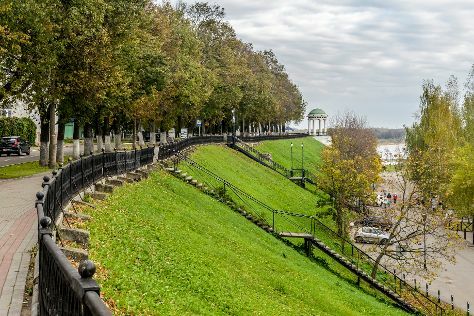 Though Tula is best known for Leo Tolstoy's country estate, the city has plenty of additional cultural and historical intrigue. Kick off your visit on the 26th (Wed): take an in-depth tour of Yasnaya Polyana Museum-Estate of Leo Tolstoy, see the interesting displays at Museum "Tula samovars", then admire the landmark architecture of Holy Assumption Cathedral, then appreciate the history behind Hedgehog At Mushroom Glade, and finally admire the landmark architecture of Tula Kremlin Museum. Keep things going the next day: admire nature's wide array of creatures at Tula Exotarium, see the interesting displays at Tula State Museum of Weapons, and then stroll through Central Park of Culture and Rest. PP Belousov. To see photos, other places to visit, and other tourist information, use the Tula travel itinerary creator. Singapore, Singapore to Tula is an approximately 16.5-hour flight. The time zone difference moving from Singapore Time (SGT) to Moscow Standard Time (MSK) is minus 5 hours. Finish up your sightseeing early on the 28th (Fri) so you can go by car to Moscow. Russia's political, economic, and cultural center, Moscow remains the most populous inland city in the world, famed for its colorful history and rich architectural heritage. Go for a jaunt from Moscow to Arkhangelskoye to see Muzey tekhniki Vadima Zadorozhnogo about 38 minutes away. Next up on the itinerary: steep yourself in history at Red Square (Krasnaya ploshchad), explore the world behind art at The State Tretyakov Gallery, admire the striking features of Kremlin Walls and Towers, and explore the galleries of The Moscow State Integrated Art and Historical Architectural and Natural Landscape Museum-Reserve. To see where to stay, photos, maps, and tourist information, go to the Moscow custom trip planner. You can drive from Tula to Moscow in 2.5 hours. Alternatively, you can take a train; or take a bus. April in Moscow sees daily highs of 12°C and lows of 0°C at night. Wrap up your sightseeing on the 5th (Fri) early enough to travel to Sergiyev Posad. Sergiyev Posad is a city and the administrative center of Sergiyevo-Posadsky District in Moscow Oblast, Russia. Start off your visit on the 6th (Sat): admire the landmark architecture of Trinity-Sergius Monastery (Troitse-Sergiyeva Lavra). For traveler tips, reviews, and other tourist information, refer to the Sergiyev Posad vacation trip planner. Getting from Moscow to Sergiyev Posad by car takes about 1.5 hours. In May, plan for daily highs up to 21°C, and evening lows to 8°C. Wrap up your sightseeing by early afternoon on the 6th (Sat) to allow enough time to travel to Yaroslavl. A World Heritage Site boasting hundreds of architectural monuments, Yaroslavl sits on the confluence of the Volga and Kotorosl Rivers and is renowned for its historical town center. Change things up with these side-trips from Yaroslavl: Kostroma (Monastery of st Ipaty & The Resurrection Church on the Debra), Church of the Resurrection (in Vyatskoye) and Rostov (Church of the Saviour on Anteroom, Church of the Resurrection of Christ, & more). 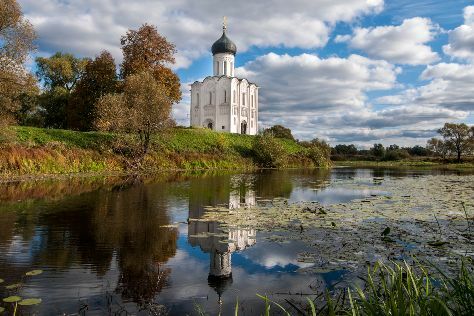 The adventure continues: get to know the fascinating history of Yaroslavl Embankment, don't miss a visit to Vvedenskiy Tolga Convent, relax in the rural setting at Sumarokovskaya Elk Farm, and take in the architecture and atmosphere at St. John the Baptist Church. For traveler tips, photos, maps, and more tourist information, go to the Yaroslavl travel planner. You can drive from Sergiyev Posad to Yaroslavl in 3 hours. In May, daytime highs in Yaroslavl are 23°C, while nighttime lows are 11°C. Finish up your sightseeing early on the 10th (Wed) so you can go by car to Vladimir. The most visited destination in the Golden Ring circuit, the city of Vladimir is known for its remarkably preserved white-stone monuments, which have World Heritage status. Kick off your visit on the 10th (Wed): pause for some serene contemplation at Church of the Intercession of the Holy Virgin, then take an in-depth tour of Dmitriyevskiy Cathedral Museum, then pause for some serene contemplation at Demetrius Cathedral, and finally take in the architecture and atmosphere at Holy Assumption Cathedral. Get ready for a full day of sightseeing on the 11th (Thu): examine the collection at Museum Of Wooden Architecture & Peasant Life, then examine the collection at Suzdal Kremlin, then see the interesting displays at Spaso-Evfimiyev Monastery Museum Complex, and finally take in the spiritual surroundings of Church of Saints Boris and Gleb in Kideksha. To find other places to visit, maps, where to stay, and more tourist information, refer to the Vladimir tour planner. You can drive from Yaroslavl to Vladimir in 3.5 hours. Other options are to take a train; or take a bus. Finish up your sightseeing early on the 11th (Thu) so you can travel back home.